at Agoria, Boulevard Reyers 80, 1030 Brussels. Please confirm you presence to karlien.erauw@agoria.be. 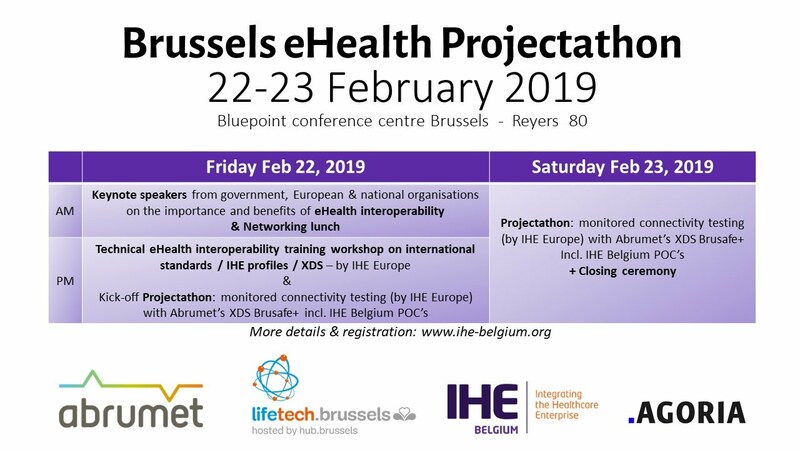 IHE Belgium/Agoria Academy has successfully launched the first eHealth interoperability courses in Belgium in December 2018.